Size 78mm x 75mm x 34mm front to back. Designed for bike installation but works just as well on cars. Average Speed, Voltage Warning, Clock, Fuel Level Gauge. Cables, mounting screws, Tools, Installation and setup Instructions. NOTE: Picture may not show all functions on display. 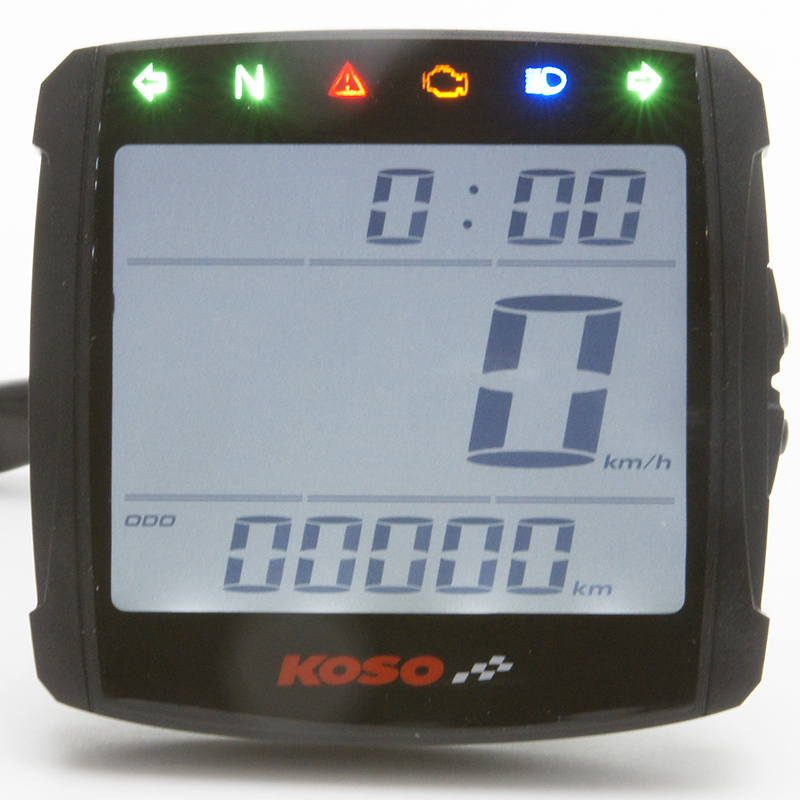 SPEEDOMETER 0 - 360 km/h (0 - 225 mph) Switchable display. Programmable for tyre circumference. FUEL METER Display range six levels. Each level represents 16.6%. Sender resistance range 100Ώ to 1200Ώ.